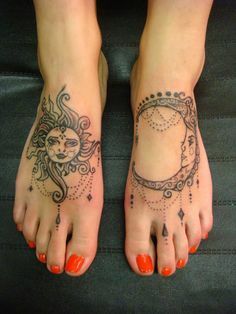 Your feet are super-sensitive, meaning getting a foot tattoo will hurt. A lot. Be ready for that. The healing period can last as long as three months. Because they are so close to dirt and the ground, foot tattoos are very prone to infection. Your foot will get red, bruised and scabby as it heals. As with any tattoo, ensuring the hygiene and safety of the tattoo artist is crucial in avoiding diseases like HIV, Hepatitis and Syphilis. An increase in pain (remember, it is normal for it to hurt a lot, but if it starts feeling worse instead of better, that should be a cause for concern. An untreated foot tattoo infection can put you at risk for amputation; it can not be ignored and treatment should be sought immediately. If you have concerns about a tattoo or other foot infection, schedule an appointment with Dr. Andrew Schneider right away!